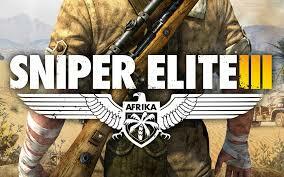 One of the latest releases in the world of video games is the Sniper Elite III. The advanced version of the war-based game features improved capabilities for fighting activity. Sniper Elite III brings more exclusive features and environments to the Sniper Elite family in a redesigned format that enhances the playing field. The action-packed war-based video game now includes scenes from World War II in North Africa that creates an interactive forum for real-to-life scenarios of conflict. The graphic and animations deliver fresh explorations and allow gamers to explore new regions.The new environment instructs players to handle a German Nazi intrusion in an arena of war. Gamers show off their sharpshooter skills and abilities to pull off sneak attacks and raids. All of these skills enhance a player’s ranking and are required for level advancements. The object of Sniper Elite III is to take out the opponents in simulated war zones. Customize the playing fields by choosing your desired region to fight in, and designate an opponent. The interactive video game includes all the latest technology to make this a must have for gamers who enjoy action. The most modern version is available for all gaming devices; PS4, XBox 360, and XBox One included.